1. Mix ground beef with steak sauce and form into 8 very thin patties. 2. On top of 4 patties, place 1 slice of cheese and peppers (to your liking). May not use all of the peppers. 3. 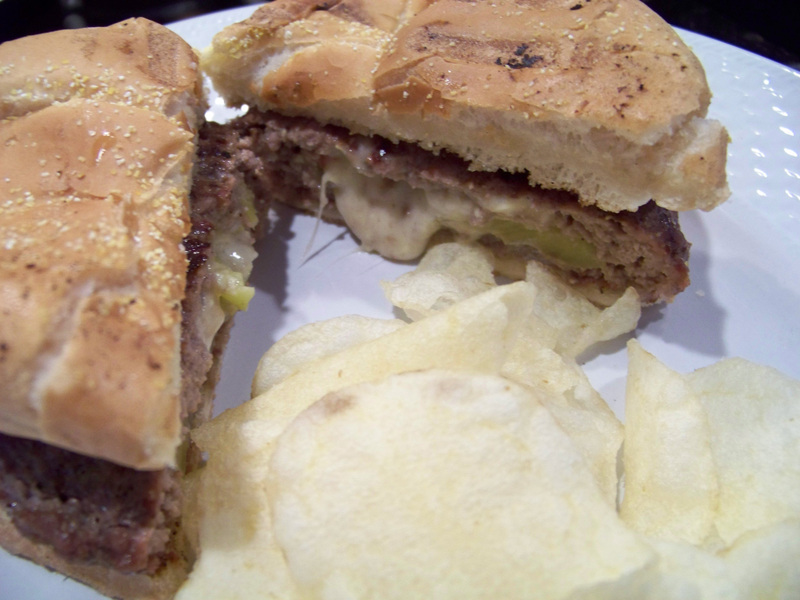 Top with 4 remaining patties, pinch edges of the patties. Be sure to seal edges. 4. Grill to your desired doneness. 5. Toast Kaiser rolls lightly. 6. Enjoy your burger with your favorite toppings - such as lettuce, tomatoes, ketchup, mustard, onions and pickles.